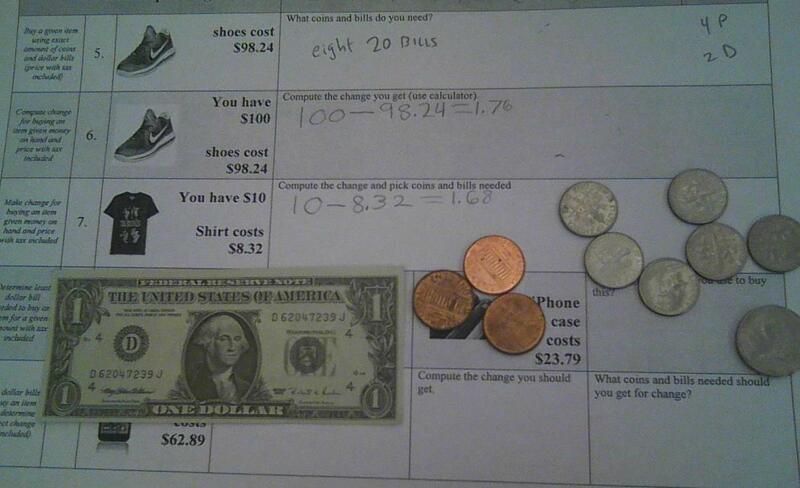 The photo shows a pre-posttest for a student in a consumer math class. In the course I taught we would conduct a pretest at the start of the class to determine which of the related skills a student lacked mastery. The course focus for this student was on the identified skills – highly individualized. The assessment also provided present level of performance information, allowed us to monitor progress and to evaluate instruction.